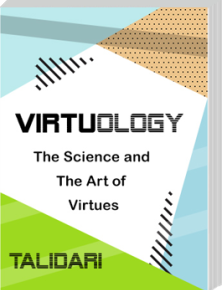 E-book “Virtuology” is a book that provides insights on the utilization of virtues for accomplishing any goals. It provides practical instructions for cultivating virtues and freeing oneself of flaws. The purpose of this book is to enable you to boost your virtues and rid yourself of your flaws and so empower you to achieve lasting success and prosperity. The premise of this book is that in order to be successful and to prosper one needs more than just knowledge and skills; one needs virtues, most of all. Therefore, the book does not provide knowledge. Instead, it is designed to inspire you to activate and cultivate your inborn virtues. Wow, just the book I was looking for! Excellent content. I discovered a simple and easy method to reach my goal, like no other method. I highly recommend it!